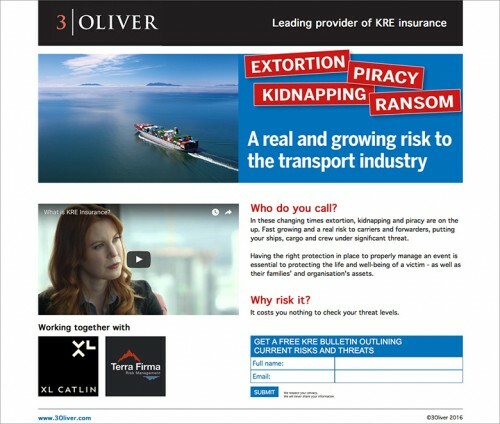 Based in Texas, 3Oliver is a leading provider of KRE (Kidnap, Ransom and Extortion), Data Security and Piracy Insurance. 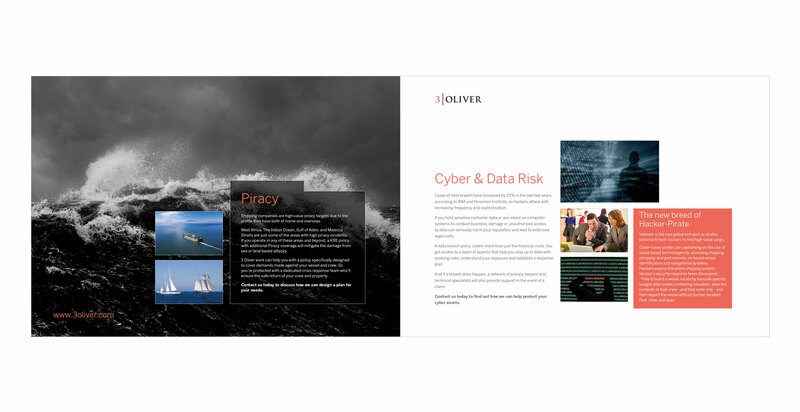 We developed a digital campaign which comprised of an animated banner ad linking to a landing page for data collection creativi.co.uk/3oliver. The banner ad appeared on the theloadstar.co.uk, an award winning multimodal online news resource for the logistics industry. 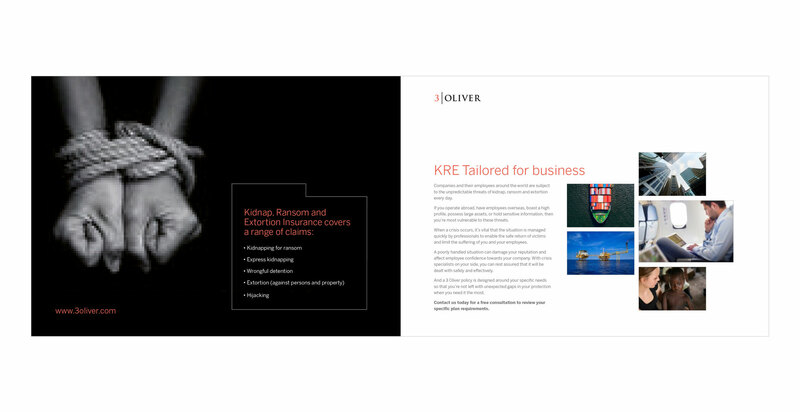 KRE subject matter can be quite alarming and a very serious area so it was a case of being up-front with the facts whilst not scaring the reader! The client was so happy he commissioned a brochure. This will be used mainly online and as an information pack to send out to prospective customers. 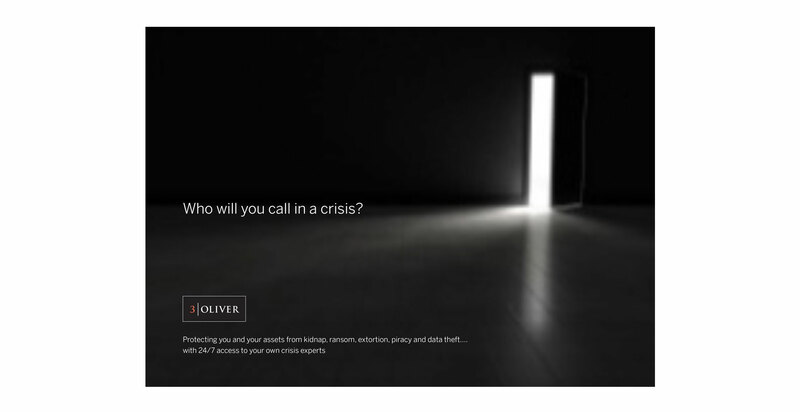 Using dark imagery alongside colour photography with carefully crafted copywriting to get across 3Oliver’s product portfolio.